PodCamp Toronto began last Saturday morning and everyone was saying their goodbyes Sunday afternoon. In thirty-six short hours, a lot was said, done and discussed. But more importantly, connections were made and strengthened. 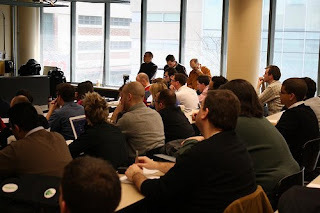 About 500 people converged on Ryerson University to discuss social networking. If you were to assume everyone who attended was from Toronto - which they were not - that represents just .0001% of the city's population. Anyone who may think this space has reached maturity needs to look closer. Our need to connect and belong has been around since we have, but this new wave of communication is still in its infancy. You will scale faster by building deeper relationships with fewer people. Toronto was the first city on earth to have more than a million Facebook users, so this is not about convergence. 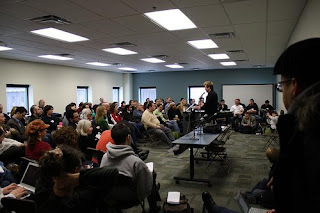 This is more about a small percentage of the population who want to take social media to the next level. To most, it is a way to stay in touch with their friends – which it is – but to some it has become a powerful way to build business relationships through deeper human relationships. 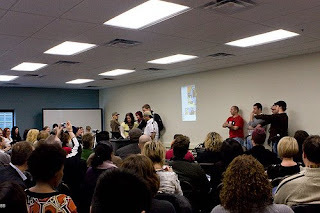 The event was filled with great presentations which were followed by conversation about the content that was covered. I asked someone if they were enjoying the weekend and they said the best part was the one-on-one chats to dig deeper into the information. The theory is great, but the actual application is key. The highlight for me was to talk to people I have met through social networking about them and their interests and projects. 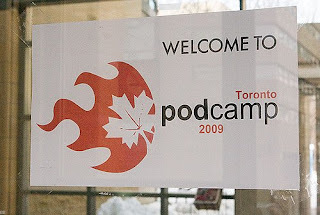 PodCamp Toronto was not only enlightening but very social – which is the point. Another hightlight was the reminder that social media is an even playing field and there is no one way to do it. There are many tools at your disposal and it’s how you apply the ones that you need for your particular situation. Gain trust and don't break it. We are in an era of mass customization. Create a relationship - a rapport on a human level. Be one of them because we are all one of them. How do you monetize social media? It's no different than any other venture or industry. There are no get rich quick schemes - in fact, you need to be very real or others will see your pitch before you arrive. Only a small handful get to win the lottery, the rest of us have to work hard. Put your business cards away, lose the slick sales' pitch and just get to know someone. People will buy in to you long before they buy in to what you do. How are you using social media to connect on a more human level?